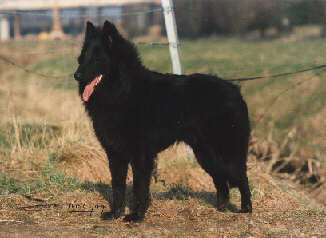 Tsisco was "Sujet Recommande" at the French Specialty in 1998, i.e. "recommended for breeding". He has produced many beautiful talented offspring. 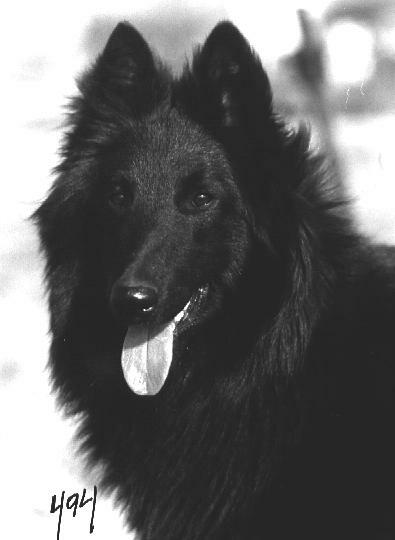 Tsisco has earned his IPO 3 (Sch III) in 2000 and is currently in SAR (Search and Rescue) training. 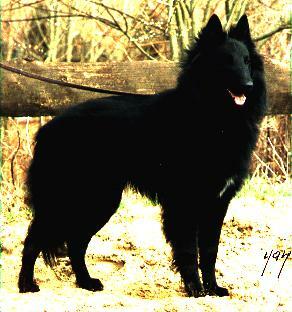 He has an excellent loving outgoing character with superb structure and breed type.